PrestaShop is a free and open source eCommerce platform that enables users to manage all the backend functions of an online store. It allows for customization of the user interface of a store, managing customer orders, keeping track of inventory, and processing payments. In this article, we cover user reviews and pricing. Ready to get started with PrestaShop? View the demo. Users who gave PrestaShop a positive review like that the software is a free open-source platform and that its backend administration is easy to use. Others appreciate the wide range of templates, features, add-ons, and integrations that they can use. One user who gave PrestaShop a positive review on Capterra mentioned that he likes that the backend is intuitive and simple and that there are numerous templates that users can select from. He also commented that users can access its multi-store and multi-language capabilities immediately as these are automatically integrated into the platform. As of the date this article was written (11/07/18), there are no up-to-date negative PrestaShop reviews online. 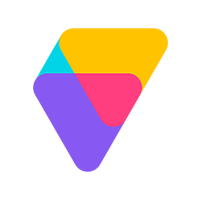 If you are a past or current PrestaShop user, leave a review to help other business owners who are deciding whether or not to use the software. PrestaShop is a free and open source eCommerce solution, and interested users can visit their website to download and install the software. They say you can run a functional site for free; however, if you want to purchase add-ons, costs average between $50 to $150 per module. Modules include SEO Expert, Abandoned Cart Reminder, Loyalty Coupons, and more. 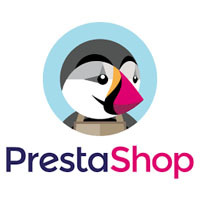 Ready to get started with PrestaShop? View the demo. Do users need to buy themes and modules to build a functioning online store? No. PrestaShop already provides a customizable and mobile responsive default template, as well as 600 free features, such as payment solutions, marketing capabilities, and more, to get users started. Does PrestaShop have recommended web developers to build users’ stores? Yes. They partnered with freelancers and web agencies to help users build their PrestaShop stores. Check their website to view the PrestaShop Partner Web Agencies list. Not sure if PrestaShop is the right fit for you? Read our reviews of all top eCommerce software providers or check out one of these three PrestaShop competitors.